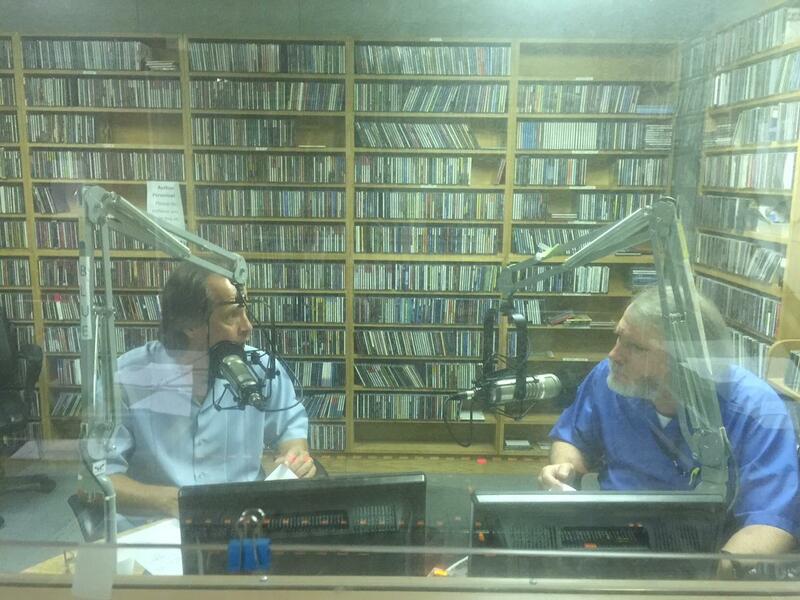 Dan Hudak and Hans Morgenstern at WLRN studios. 08/14/15 - Next time on South Florida Arts Beat, Jeff Rusnak, Director of Development with the Hollywood Art and Culture Center, describes community outreach programs and upcoming exhibitions for the new season. Dan Hudak welcomes Hans Morgenstern to the annual Florida Film Critics Circle Discussion. Chef Norman Van Aken presents A Word On Food and our Miami-Dade arts calendar features Deborah Margol. Catch the conversation and information every Friday on South Florida Arts Beat at 1:00pm. Jeff Rusnak and Ed Bell. Dan Hudak's Florida Film Critics Circle Discussion.